McGill alumni and long-time Athletics benefactors Sheryl Kerr (BCom'67) and David Kerr (BSc'65) are chalking up another important "assist" for Team McGill with a $3.5-million gift to create the Kerr Family Women in Sport program. This "WIS" initiative aims to advance the role of women as athletes, coaches and decision-makers by increasing the number of full-time female coaches and helping female athletes become future leaders. The transformative gift positions McGill as uniquely situated among Canadian universities in offering a full range of support programs to its female student-athletes and coaches. "We extend our sincere thanks to Sheryl and David Kerr for their longstanding support of McGill's athletics program and for championing the cause of women in sport in such a meaningful manner," said Suzanne Fortier, McGill's principal and vice-chancellor. "This is an important milestone for our University and continues McGill's tradition of leading change in women's athletics." As a first step, McGill Athletics and Recreation announced today that it has appointed Sylvie Béliveau, a former national team coach and women's sports advocate, as senior advisor to McGill's varsity program and as a key steward of the WIS initiative. Béliveau, an honoured member of Canada Soccer's Hall of Fame, guided the Canadian national women's soccer program from 1986 to 1995. She is past president of Égale Action, a Quebec-based organization dedicated to the participation and advancement of girls and women in sport and physical activity. "This is a ground-breaking initiative that has the potential to impact young girls and women across the country," she said. The WIS program will make an immediate impact at McGill. A 2013 report by U SPORTS, the national governing body for intercollegiate sport, listed only 17 per cent of head coaching and 22 per cent of assistant coaching positions as being occupied by women. With the increased presence of female leadership in McGill's sporting culture, the University hopes to be a catalyst for similar change within the Canadian collegiate landscape. 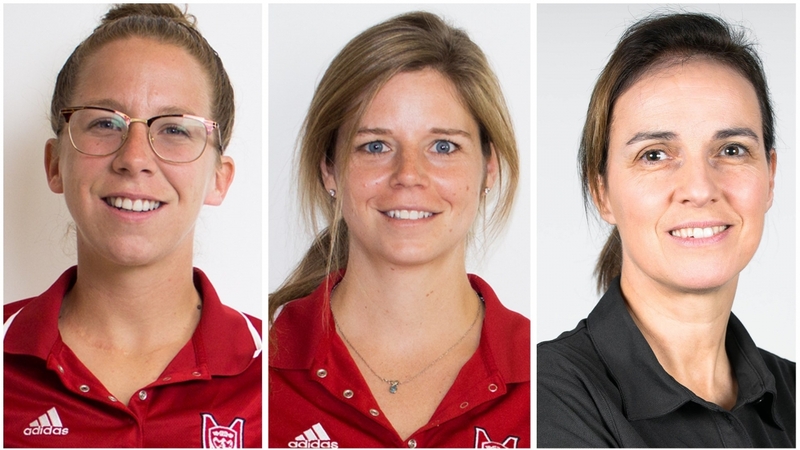 In addition to Béliveau's arrival, McGill has also appointed, through the WIS initiative, two new full-time assistant coaches, Kelsey Wilson, with the soccer Martlets, and Rikki Bowles, who has joined the basketball Martlets. An additional full-time assistant coach, for women's volleyball, is forthcoming. The WIS program will also have an immediate effect on the quality of female student-athletes' experience, by offering additional resources and support during their playing years and beyond. "At McGill, where student-athletes combine an outstanding academic education with top-level sport, we have a unique opportunity to build a program that will allow our female coaches and athletes to thrive," said Marc Gélinas, executive director of McGill Athletics and Recreation. "And thanks to the generosity and vision of the Kerr family, our student-athletes will become stronger, more confident leaders, ready to enrich Canada's sports, as well as our professions, culture and society." The Kerr family has a long history and deep connections with McGill's athletics program. Both played varsity hockey for McGill during their student years, and they met when David coached the women's team, where Sheryl was playing for the Martlets, in the 1963-64 season. The couple married in 1969, and today make their home in Toronto. "McGill was an important part of our past and hockey was a really great part of that experience," said David Kerr. In 2007, the Kerrs established the Kerr Martlet Hockey Coach Endowment, which created a permanent source of funding for a full-time coach for the women's team. The impact was remarkable, fuelling the Martlets to incredible success in recruiting and developing top players, as well as capturing four national championships – the most of any U SPORTS program in McGill history. "We felt that it was important to provide female athletes at McGill with additional opportunities and support networks and to give something back to the program that did so much for us," added Sheryl Kerr.